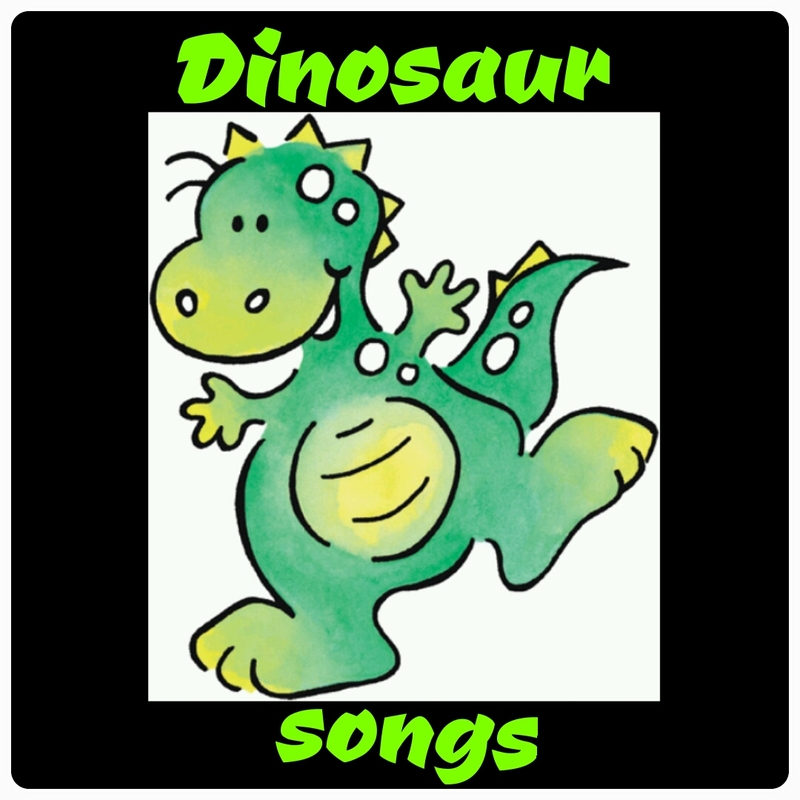 Here is what we are dancing to this morning! 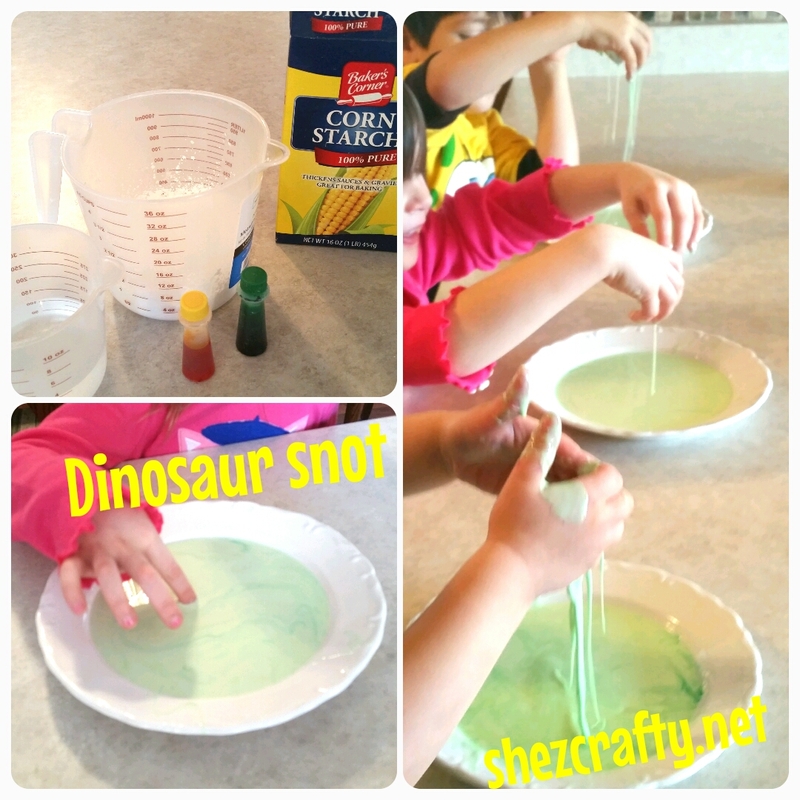 It will surely bring a smile to your little ones face when you tell them they get to play with dinosaur snot 😉 Of course we just renamed Oobleck. Who named it that anyways? The consistency is so fun, hard to pick up but turns into snot when you pick it up. I love cookie cutters. Can you tell? They are not just for cookies at our house. I just let the kiddos use the cookie cutters as stamps. They love anytime we have paint to play with. Here are the little balls (eggs) we made this morning. 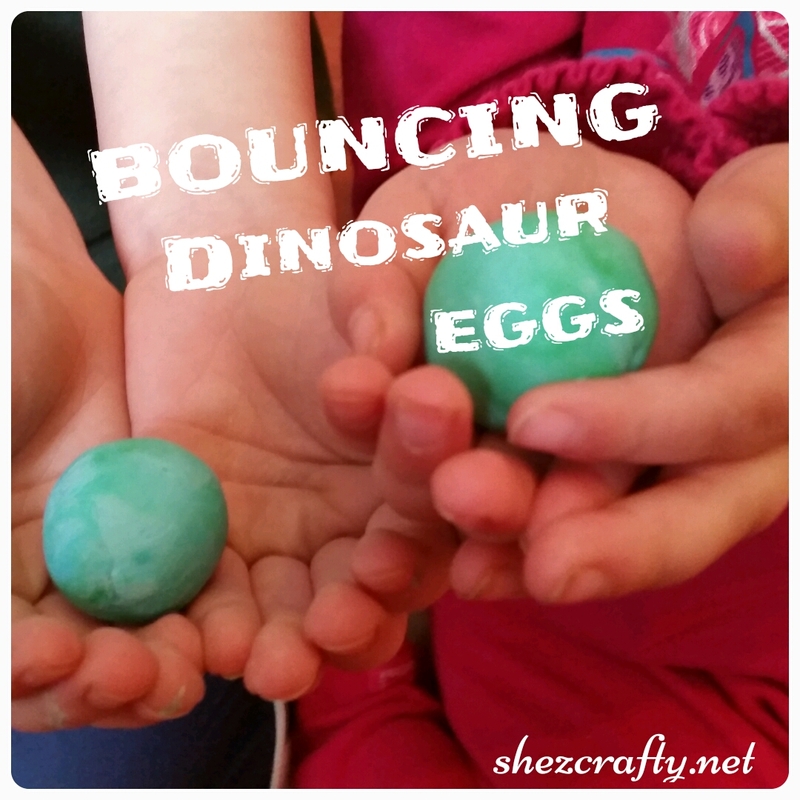 We named our bouncy balls dinosaur eggs because that is the theme we are currently working on. Pour the borax mixture over the glue mixture and let sit for 10 seconds. Take the glue mixture out of the water and roll together to make a ball. **Just an fyi this ball will not completely harden. You may want to store in a plastic bag. Did you know you can paint tortillas or toast. This super simple tip will make snack time more fun. 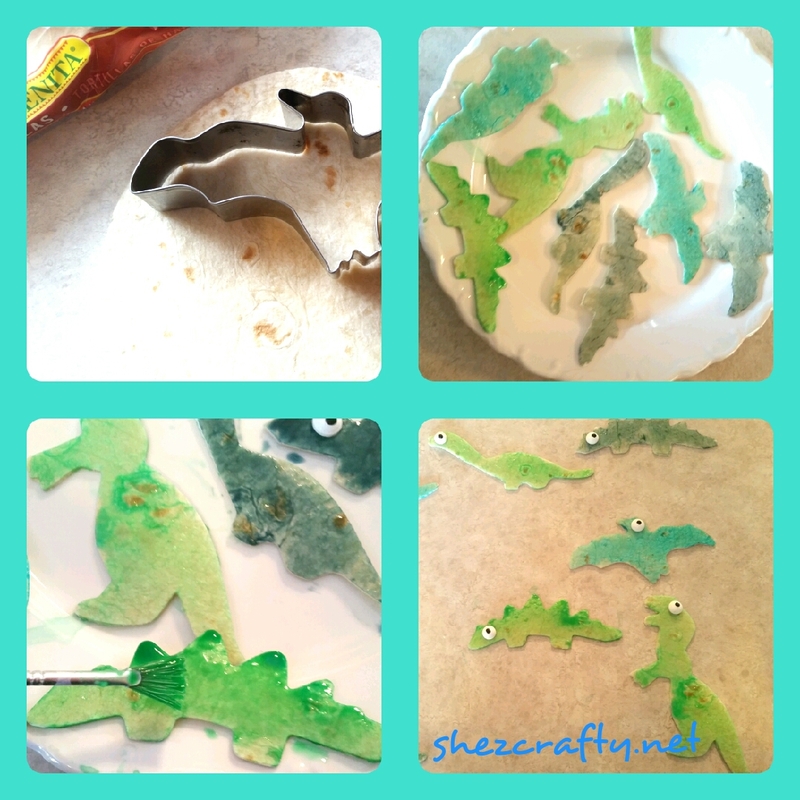 We cut out shapes with dinosaur cookie cutter to go with out theme this month. To make the paint we just used milk and food coloring. I added a tablespoon of power sugar to make ours a little sweet. 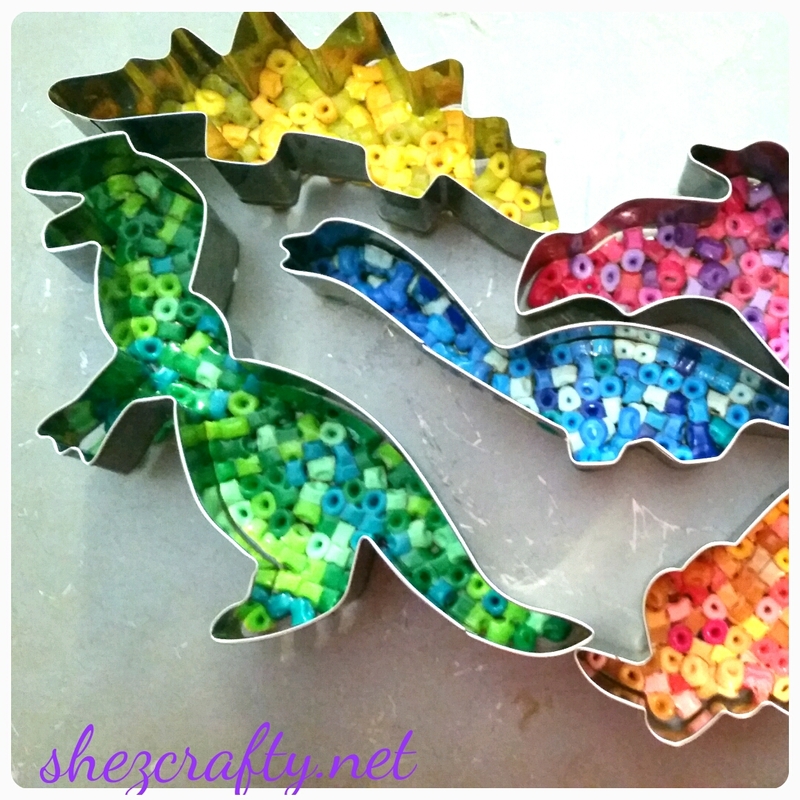 The kids love this cookie cutter, bead craft so much at Christmas we did it again for dinosaur month. 1. Line a pan with aluminum foil place cookie cutters on top, and spray with cooking spray. 2. We separate the beads into colors. 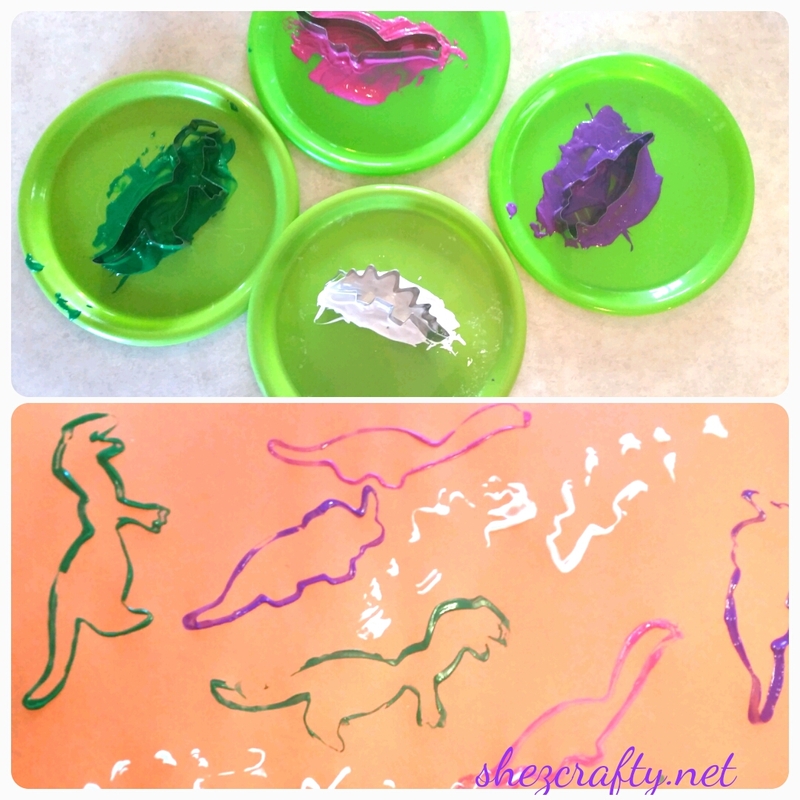 Green went in the T-rex, yellow in the Stegosaurus and so on. 3. Bake at 400 for 10 mins or until melted. 4. I took them out and placed in freezer for a few mins. We were already getting messy, so we painted our hands and feet. Here is a fun snack for the kids and a fun way to get them to try new food. We took hard boiled eggs peeled, cut them in half and took out the yolk. Dyed them the same way you would easter eggs but without the shell. 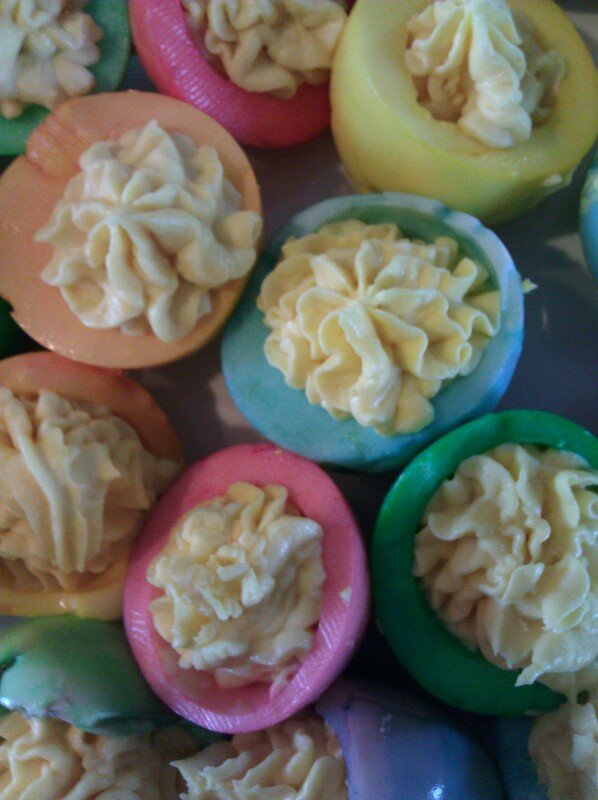 Mix the filling using your favorite deviled egg recipe and fill. This honestly took two minutes and the kids loved it. 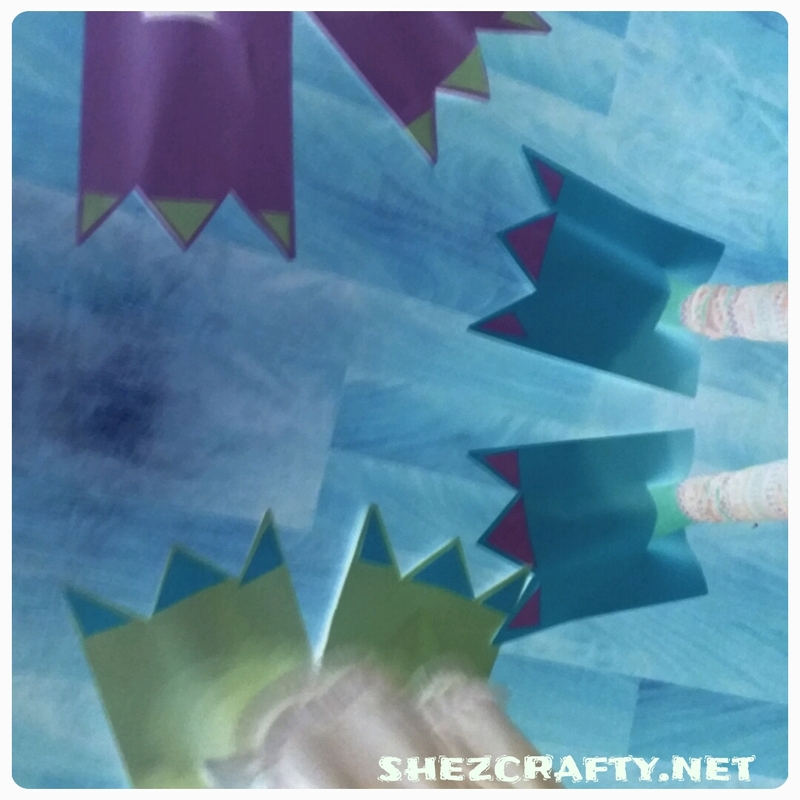 Cut two triangle for toes. 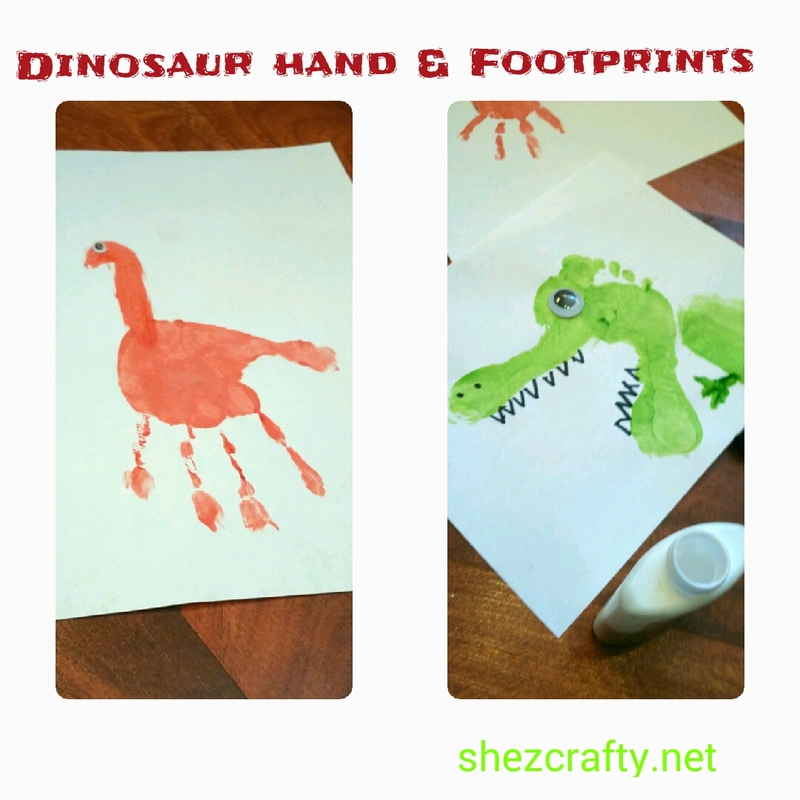 Fold in half without creasing and cut a slit big enough for the kids foot. 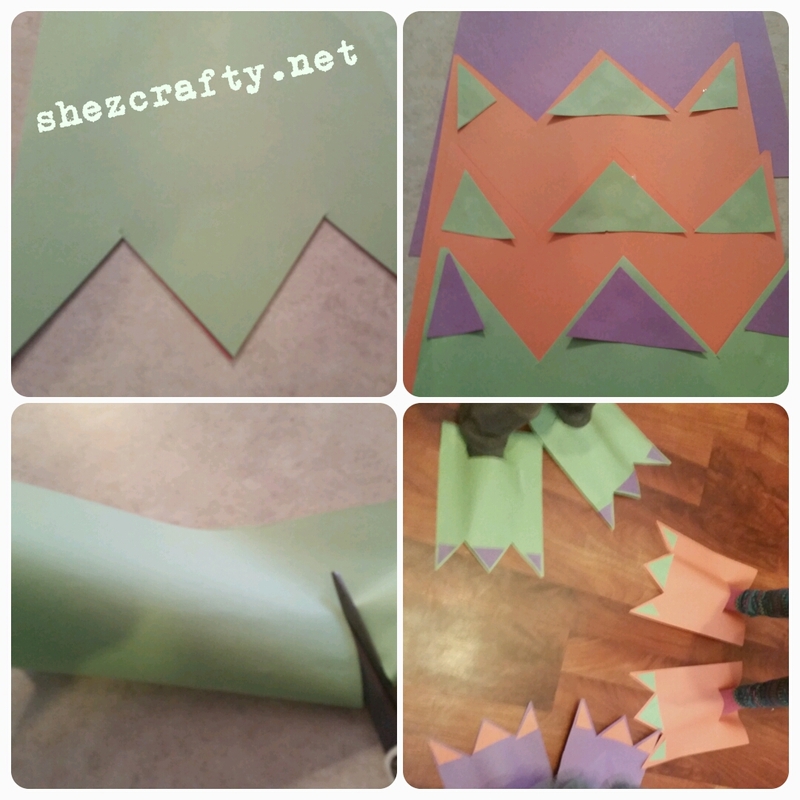 Use the extra triangles to make toe nails and glue.